Sorry for the lack of blog posts, there are some changes happening around here and we have been keeping busy with portrait sessions! I’m SO thankful for the work, trust me, we have amazing clients and its been such an honor to work with them, however, I am looking forward to December cause I will be taking the whole month off! Now, on to our big announcement, my dear friend and business partner, Fawn, along with her husband will be moving back to Japan this coming August! I’m SO excited for them because I know how much they have longed and prayed to be back there sharing the Gospel! God has blessed them with a heart for the people of Japan and I’m so thrilled he is leading them back there! Its always sad to say goodbye to a friend but more then anything I want to support both Fawn and her husband as they take these next months preparing their hearts and minds for this new chapter in their lives! I am encouraging Fawn to start her own blog documenting this adventure and share with us what God is doing in them and through them along the way! When she has that blog up and running I will share it with everyone so all of our readers can keep up with her! With that said, I will still be doing photography and I’m booking weddings for next year! I’ve been blessed to work with such a sweet and loving friend who is also an amazing photographer and our time working together has brought me so much joy! Because I feel Pure Photography is such a large part of both Fawn and myself as a team, I’ve decided to change the name of the business. There will be some design changes and a new blog location but not much else is changing! My passion and love for photography has only grown in the years of running Pure Photography and I’m excited to continue to learn and grow as time goes on! I’ve already done a “soft” launch of my new blogsite and right off the bat you will notice it is a much more personal format. 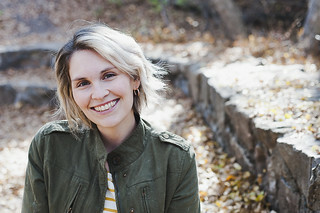 I’ve always wanted to blog both my personal adventures and work images in one location to help my readers and clients get to know me on a more personal level! I hope you will make the venture over to the new site, http://www.tiffany-ann.com, the website is still under construction but all the information you need to stay in touch with me is on my new blog! You can still contact me at info@purephotographyreno.com if you have any questions but this will be a smooth and simple change! I can’t tell you how much Fawn and I have appreciated YOU, our readers, clients, friends and family, you are the reason we have had such an amazing time with Pure Photography! Thank YOU for all your love and support and we hope you continue on with us as God leads us in new and exciting adventures!